In its first outing since the critically acclaimed Waiting For Godot, NWCTC returns to the Shoebox Theatre to stage an exciting new adaptation of this classic of modern drama. Adapted and directed by Patrick Walsh, the production boasts a cast of fourteen fresh faces to NWCTC audiences as well as a bold approach to Chekhov’s masterwork. The production will also move to the Coffee Creek Correctional Facility in Wilsonville, Oregon as part of a unique outreach program, built off of the new, collaborative production model. 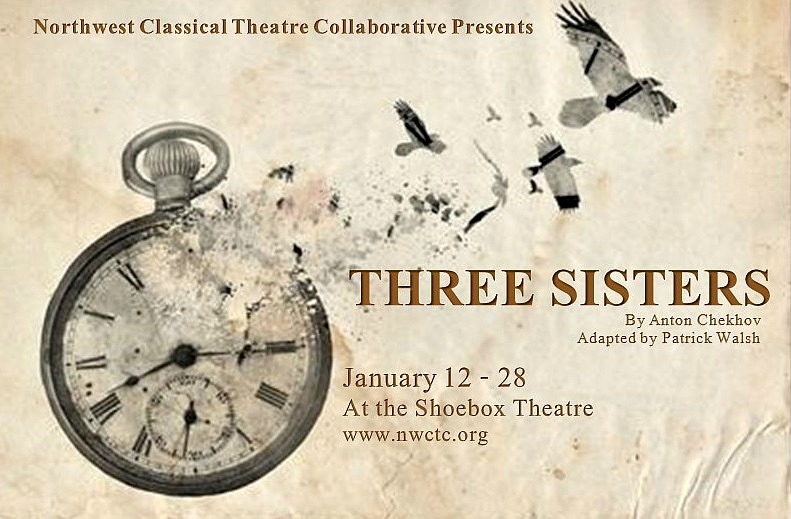 Three Sisters is also part of Portland’s Fertile Ground Festival of New Works. Evening performances are Wednesdays through Saturdays at 7:30, Matinees Sundays at 2:00. Tickets are $25 for general admission, $20 for students and seniors. Reservations are available online at www.nwctc.org, by calling 503.381.4035.